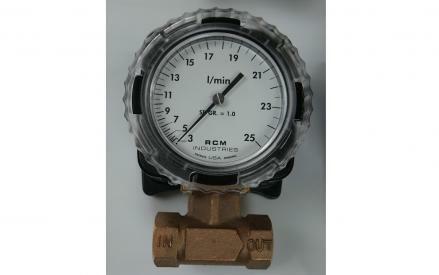 The RCM Flo-Gage is a direct reading flowmeter with a large easy to read dial calibrated in engineering units (m3/hr, SCFM, l/m etc.). 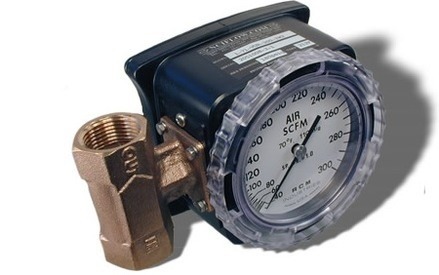 The meter is self-contained and does not require external power connections, separate orifices or blocking, purging or equalizing valves. 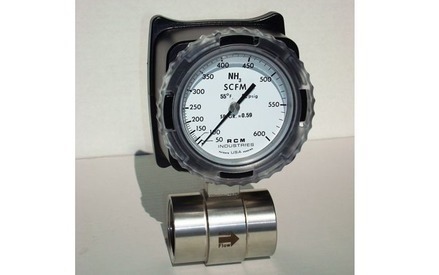 The Flo-Gage is suitable for measuring water, oil and most other low viscosity liquids. 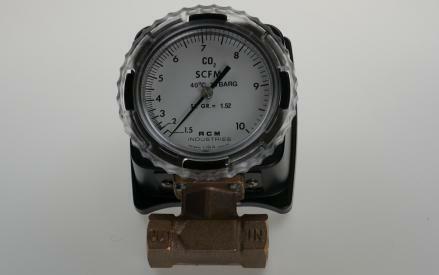 Flo-Gage is also suitable for measuring compressed air, oxygen, carbon dioxide and many other non-toxic compressed gases. 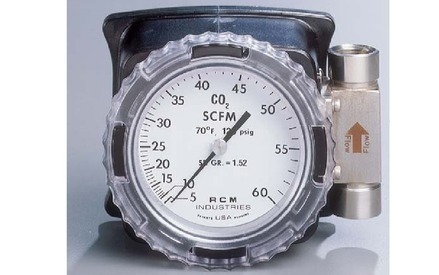 Saturated steam can also be measured up to 120 PSIG. (Option K).Typical applications include Lube oil monitoring, blending processes, cooling water, reverse osmosis systems and compressed air measurement. 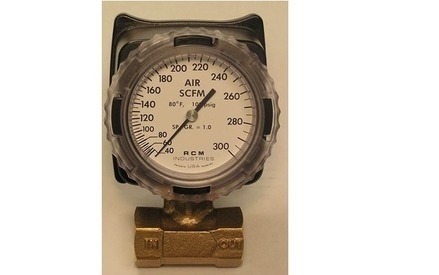 The principal of measurement for the RCM Flo-gage is Differential Pressure across the internal orifice plate. 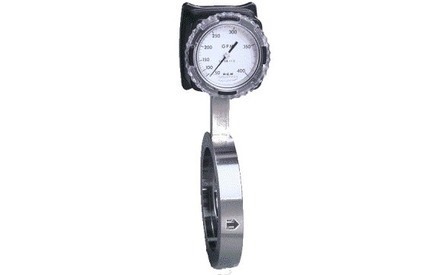 The pressure lines are connected to a pair of mechanical bellows that move a needle across the face of the Dial. Water such as Cooling water, reverse osmosis systems. Oil and most other low viscosity liquids. 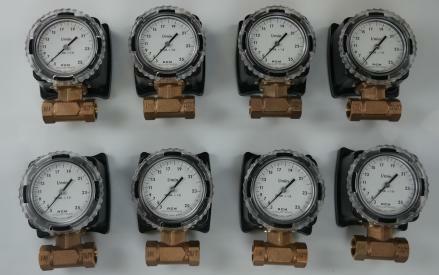 Compressed air, oxygen, carbon dioxide and many other non-toxic compressed gases.